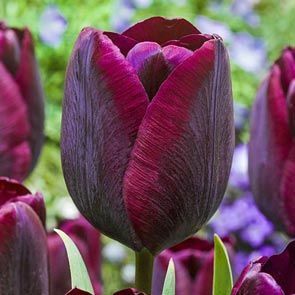 An astonishing specimen that flowers in the richest, deepest hues.Deep carmine-crimson blooms, darkening nearly to black at the base, are the epitome of style, adorning strong, sturdy stems of this magnificent triumph tulip variety. Makes a sophisticated border and adds depth to the typically brighter colours in a spring garden bed. 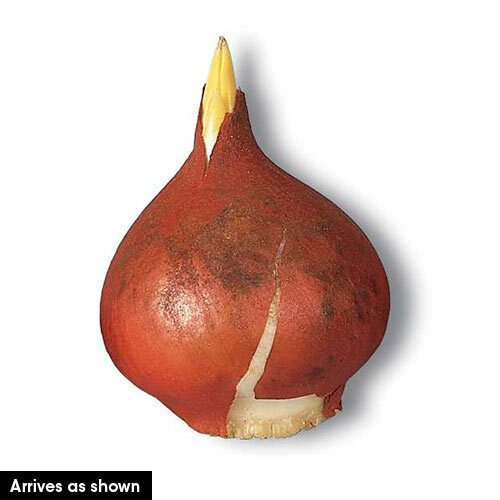 Planting Instructions 6" deep and 3 - 6" apart.